There is no better feeling than walking into your new kitchen and knowing that it's exactly what you wanted. Every decision you made, every dollar you invested, and every sacrifice you made was well worth it. Your kitchen is one of the most often used rooms in your home and should receive top priority when planning a kitchen remodeling project. Muskegon Kitchen remodeling company, 1Remodeling, takes pride in producing quality custom Kitchens that not only look amazing, but function properly as well. 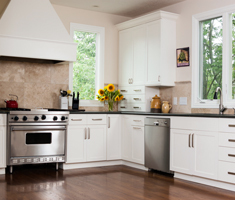 Learn more about Kitchen Remodeling here. Your bathroom is one of the most often used rooms in your home and should receive top priority when planning a bathroom remodeling project. Muskegon bathroom remodeling company, 1Remodeling, takes pride in producing quality custom bathrooms that not only look amazing, but function properly as well. Learn more about Bathroom Remodeling here. Our Muskegon basement remodeling and Basement finishing company will design a custom basement to your specifications including specialty issues such as media rooms for entertainment, home workout rooms, wet bars, dry bars, mini Basements, playrooms, lighting design and surround sound systems. Whether it's a theatre room with a built in mini-bar for entertaining guests or a functional basement to deliver more space for your family, 1Remodeling will meet your specific needs. 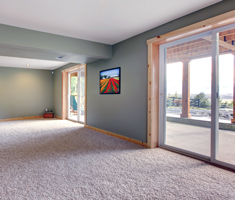 Learn more about Basement Remodeling here. Our Muskegon basement finishing company will design a custom basement exactly to your specifications. Whether you envision an entertainment room with surround sound, a home workout area, a wet bar, a dry bar, a mini-kitchen or a playroom with fun lighting design — we will make your vision a reality. Have you always dreamed about having a theatre room with built in mini-bar for entertaining guests? Or if you simply want a functional finished basement to provide your family with a fun place to spend more quality time together — then our Muskegon remodelers will deliver a quality product that exceeds your expectations. Learn more about Basement Remodeling here. Attic and Dormer remodeling is a great way to utilize wasted space in the attic or dormer areas of your Muskegon home, not typically used by homeowners. Whether you&apos;re finishing or remodeling your attic or dormer, it is a great way to increase the value of your home. 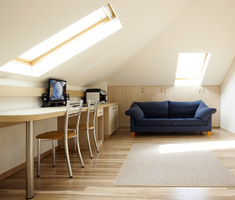 The unused attic space can be used for an additional bathroom, recreation area, home office space or your own specific desired type of living space. Muskegon Remodeling Company, 1Remodeling, specializes in dormer and attic remodeling and finishing, which increases the value and function of your home. Learn more about Attic and Dormer Remodeling here. Our Muskegon design team will make it possible for you to age with your existing home as your physical and mobility needs change. Whether this involves removing an existing bathtub and installing an easy-access, no-step shower, widening doors and hallways, adding stairway rails, raising countertop heights or creating multifunctional first floor master suites. We can even offer options such as step-free entry, slide out shelving or built-in wall, fold-down ironing board units — the possibilities are endless when making your home more comfortable, accessible and barrier free. 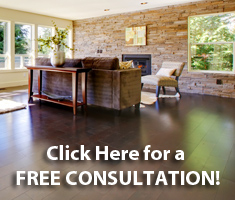 Learn more about Barrier Free Remodeling here. Having a home entertainment room or media room that includes a home theater is one of the most popular home remodeling projects today. Many homeowners are converting attics and basements into full media entertainment centers. Muskegon media and entertainment room contractors, 1Remodeling will help you design and implement this project from start to finish. Learn more about Media and Entertainment Rooms here. Your wait for a new Muskegon bedroom addition by a knowledgeable and experienced bedroom remodeling contractor is over. Putting an addition on your home can easily create a new look and feel for your entire living space. Our dedication to producing only high quality work is second to none — and your bedroom addition project will reflect that for years to come. Learn more about Bedroom Remodeling here. After surviving a couple of Michigan winters, homeowners in Muskegon and throughout West Michigan learn to appreciate the sun — no matter how infrequently it appears! The Muskegon sunroom specialists at 1Remodeling can help you add natural light and the extra space you've always wanted with a sunroom or patio room additionto your home. Our professionally designed and constructed sunrooms will bring your home to life! 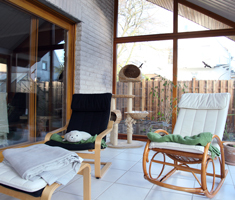 Learn more about Sunrooms and Home Additions here. If you live in the Muskegon area, you know how to make the most of their summers. Nothing helps you enjoy the warmth and comfort of those sunny days more than an outdoor living area where you can sit back and enjoy the sunshine. 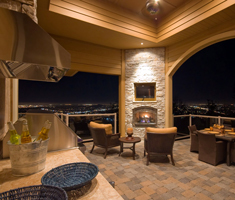 Learn more about Outdoor Living Spaces here. A professionally built or remodeled deck can be a wonderful extension to the exterior of your home — while also providing a great place to relax and entertain guests. The experienced Muskegon deck builders at 1Remodeling can start building your dream deck today! A new deck can also increase the value of your home and be the one thing that sets your home apart in your neighborhood. A deck can be a worthwhile investment that can pay off with the right Muskegon deck contractor. Learn more about Deck Building here. Whether you are looking to design something spectacular for an eye appealing kitchen design, bathroom design, basement design or other living space in your home, 1Remodeling's design team can help you turn your vision into a reality. If your home remodeling project is designed to sell your home, we can help you get the best return on your remodeling investment. Design comes into play when remodeling and the typical home remodeling project can return up to 70% on your investment. Learn more about Designs here.